Vancouver Airport, North Shore mountains in the background. 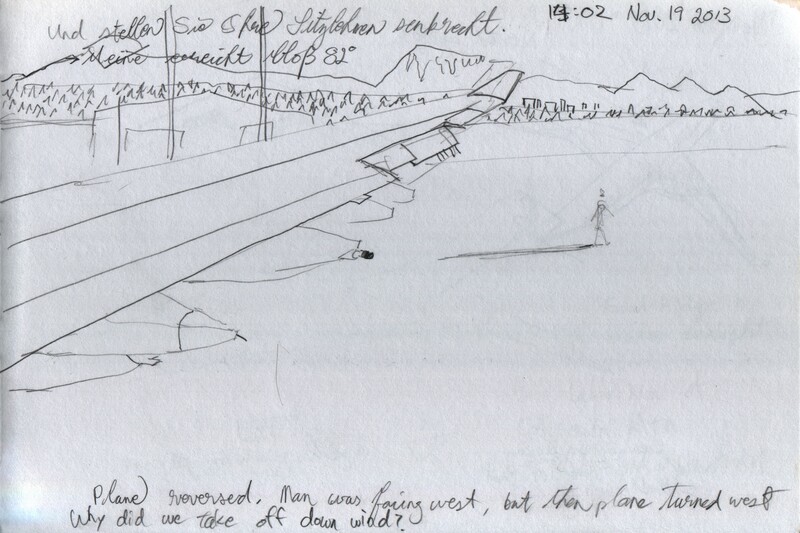 I started sketching the scene when the plane was facing east, and then the plane taxied west. That’s why the man’s shadow is facing the wrong direction for the time of day, 18:00 pm or so. 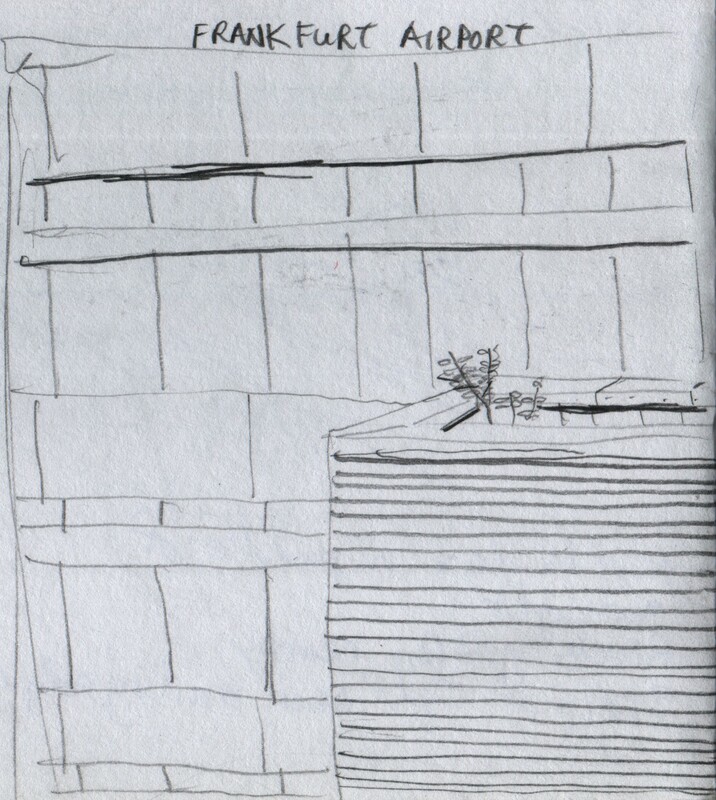 The one plant on the roof of the building accentuated Frankfurt Airport’s desolate modernity. 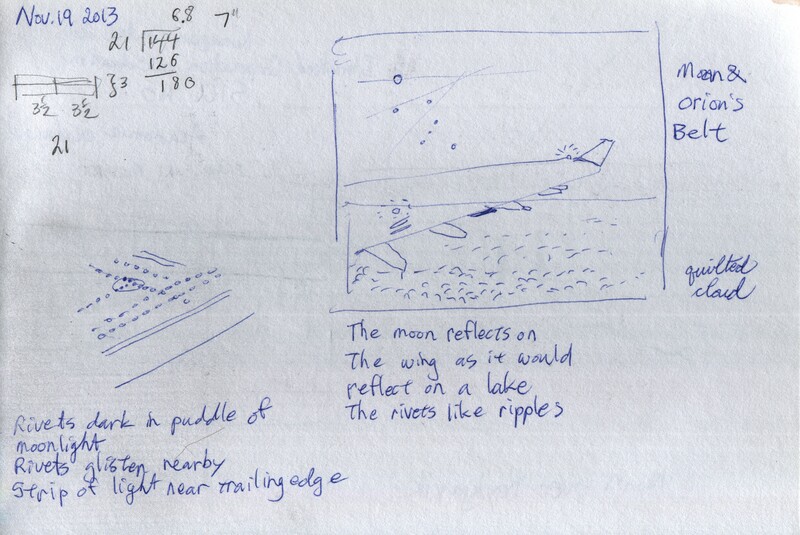 Does one person periodically walk out onto the roof to water the plant, doing battle with the bleakness? 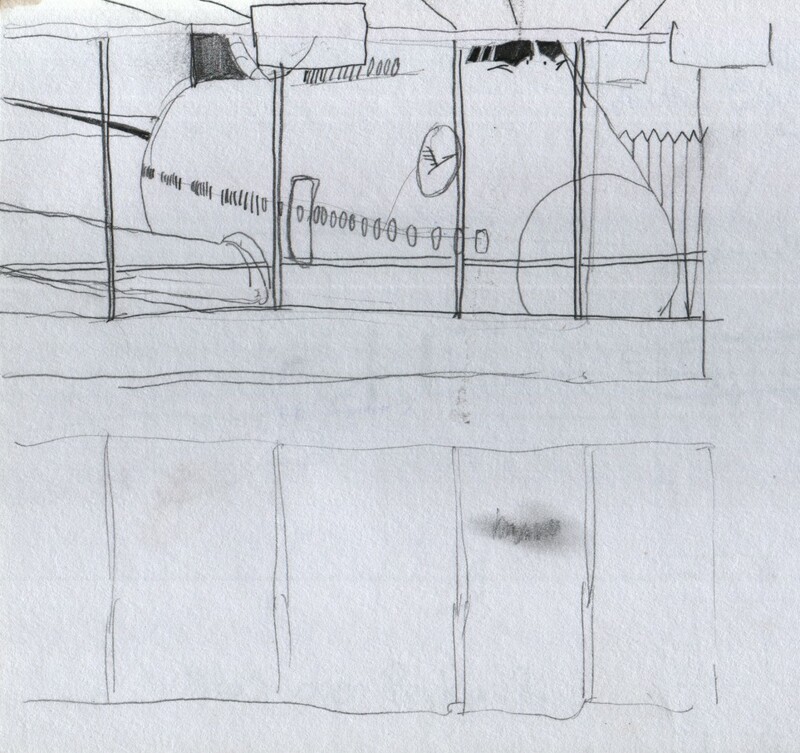 Jumbo jet outside the boarding gate at Frankfurt Airport. Descending to Mumbai Airport around midnight. 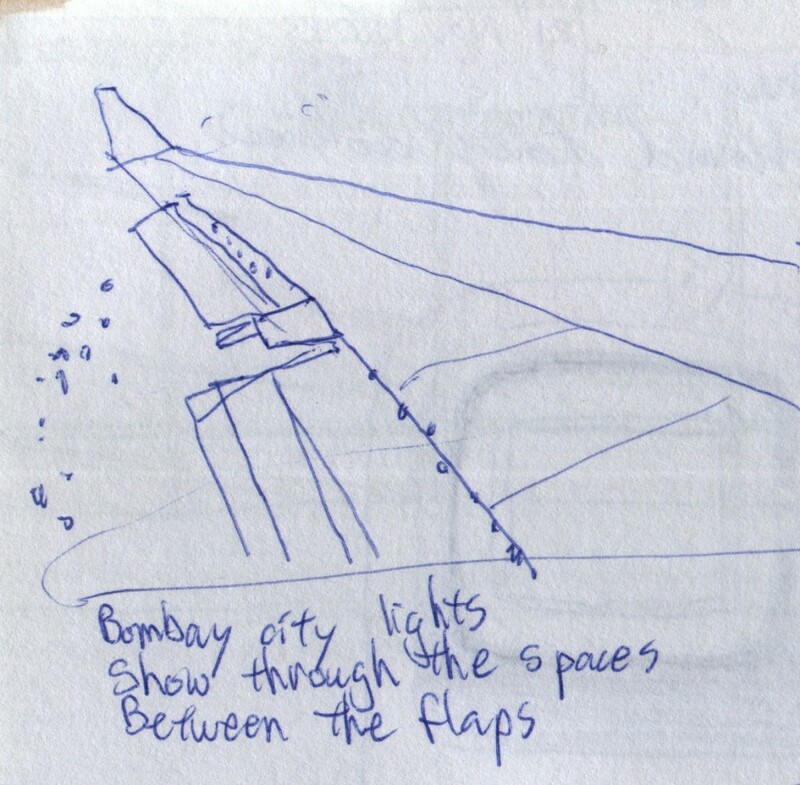 Mumbai city lights show through the spaces between the airplane’s flaps. Morning light over India. 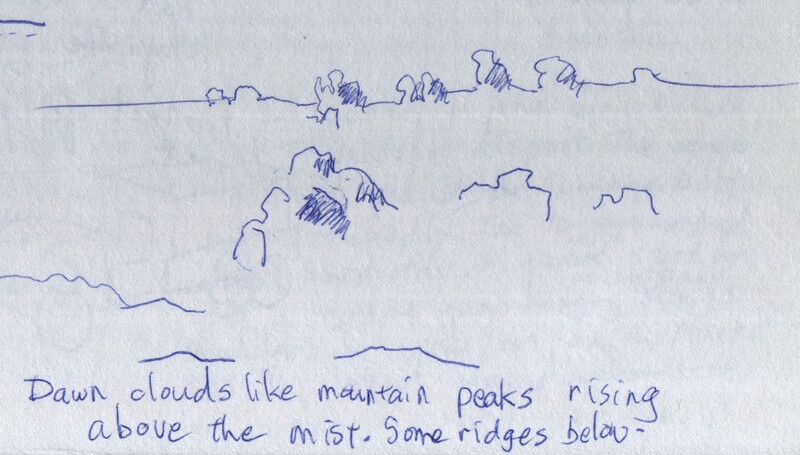 Clouds like mountain peaks rising above the mist. Some ridges below. Flight from Mumbai to Thiruvananthapuram.